Outlast is a survival horror game from developer Red Barrels. It was released on PC in September 2013, then subsequently on the PS4. It is now available for download on the Xbox One. It is also completely terrifying. Not terrifying in a Kinect Star Wars sort of way, mind you. Rather this game will bring even the bravest of horror fans to their knees as they carefully take each step throughout the 5+ hour single player story. You play as independent journalist Miles Upshur, hoping to find the big story that will catapult your career. Of course, to do this, you decide it’s a great idea to drive to the remote mountains of Colorado, alone, at night, and break into an abandoned insane asylum, where you have learned from an anonymous tipster that secretive inhumane experiments are being conducted. You, Miles, are not a smart man. …And then hilarity ensues!! No wait, what I meant to say, was that sheer terror hammers down upon you from the moment you enter the asylum. Outlast is not a kind game. It does not care that you like having copious amounts of ammo in your video games. It does not care that you like to explore every inch of a well-lit room. It certainly does not care that you like knowing where your enemies are or how they plan to flank you. Part of the “fun” of Outlast is realizing that anything can and will happen to you at any moment. And all you possess to defend yourself is your camcorder and running shoes (in other words, you cannot defend yourself). I was very happy to hear that Outlast was making its way to the XBone. It is no secret that I am a huge horror fan, whether it be film or games. Having played through the game, I can attest that it does not disappoint the genre. It often feels that the golden age of survival horror is well behind us. Gone are the days of games that made you creep around every corner or manage a tight inventory (if any at all) of limited resources. Instead, we now rush through hordes of enemies, double tap X to dive into cover, and cycle through 16 different weapon types as mountains of empty shells pile around us. Sure, there have been occasional gems that show us how games can be truly scary, like Amnesia and Dead Space (1…the sequels became very action oriented). The less said about Resident Evil 6 the better. Outlast is refreshing in that it knows exactly what it is: a vehicle to frighten you from start to finish. If you can stomach the gore and enjoy being frightened, I cannot recommend this game enough. I implore that you play it alone, late at night, with the lights off, and with the volume cranked up. I also wouldn’t be turned off by the seemingly short campaign. It honestly took me a while to get through the game simply because its difficult to play when hiding behind my chair. Or when the game is off and I’m sobbing under my bed sheets. 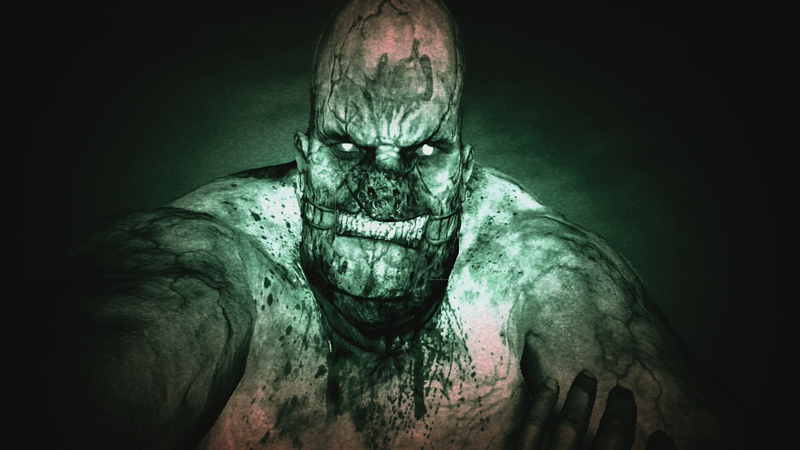 In addition, DLC was recently released in the form of a prequel – Outlast: Whistleblower. So even after finishing the game, you can continue to torture yourself, you masochist! Let us know about your Outlast your experience! We will no doubt be discussing more on the next show.